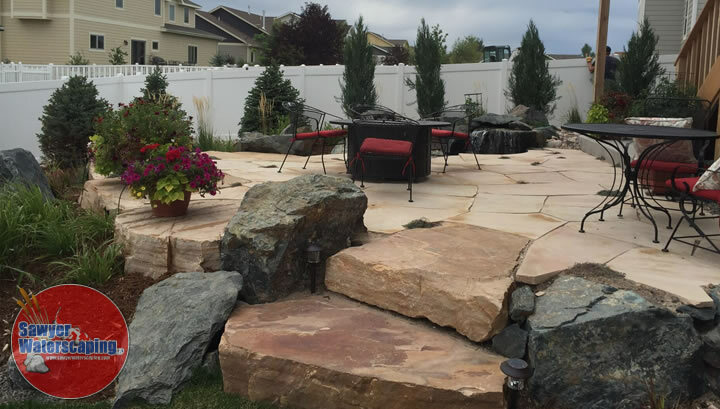 Constructed in the Spring of 2016, this backyard hangout has a little bit of everything! 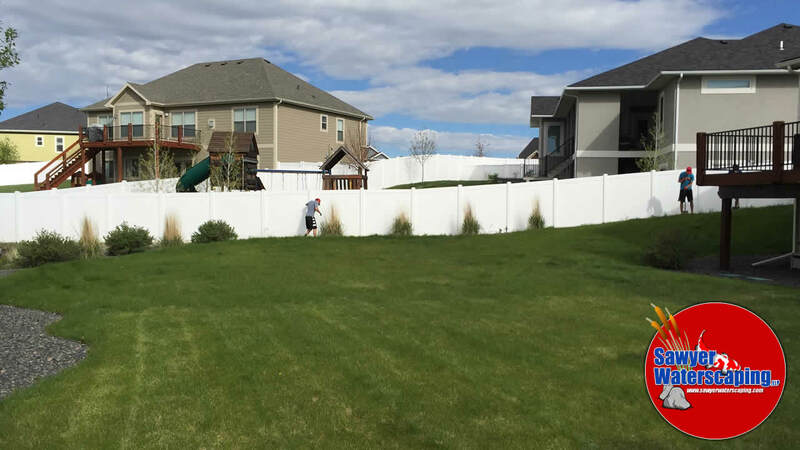 We had a blank canvas with the Creel’s backyard. 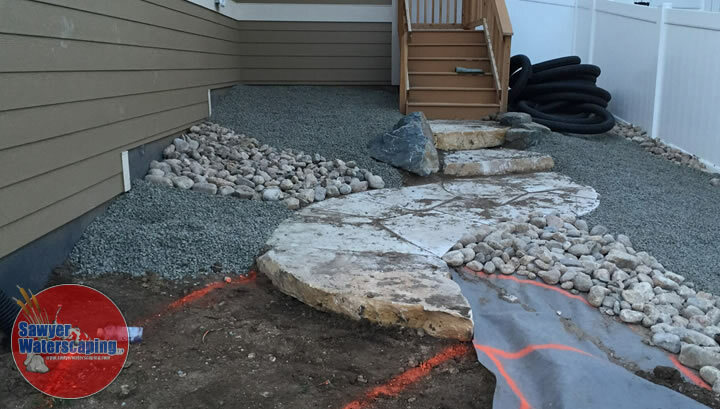 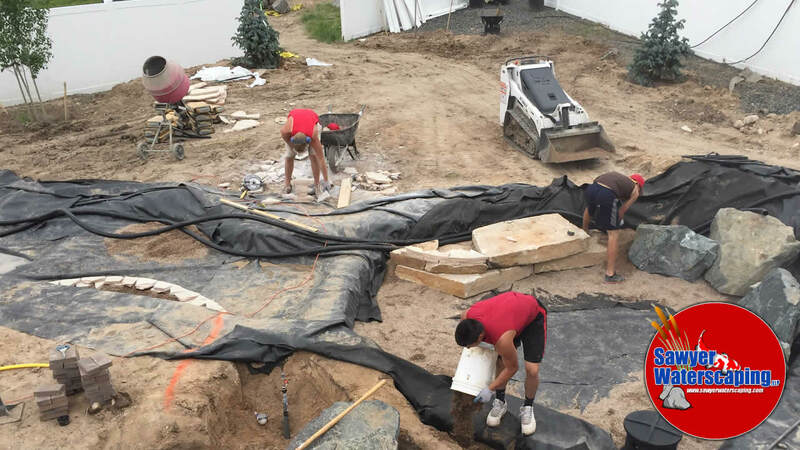 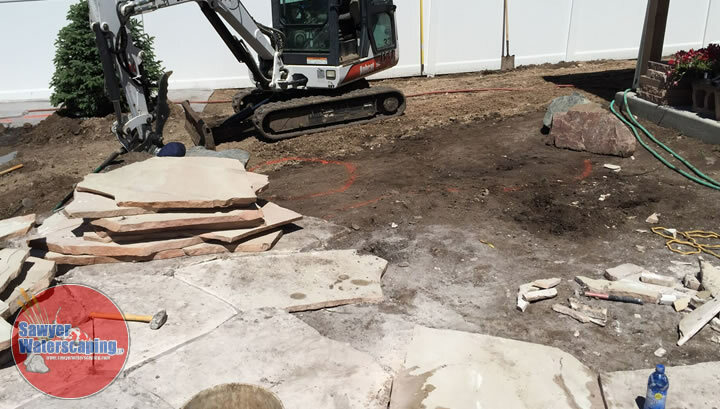 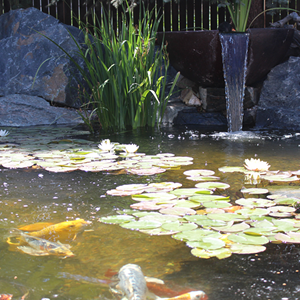 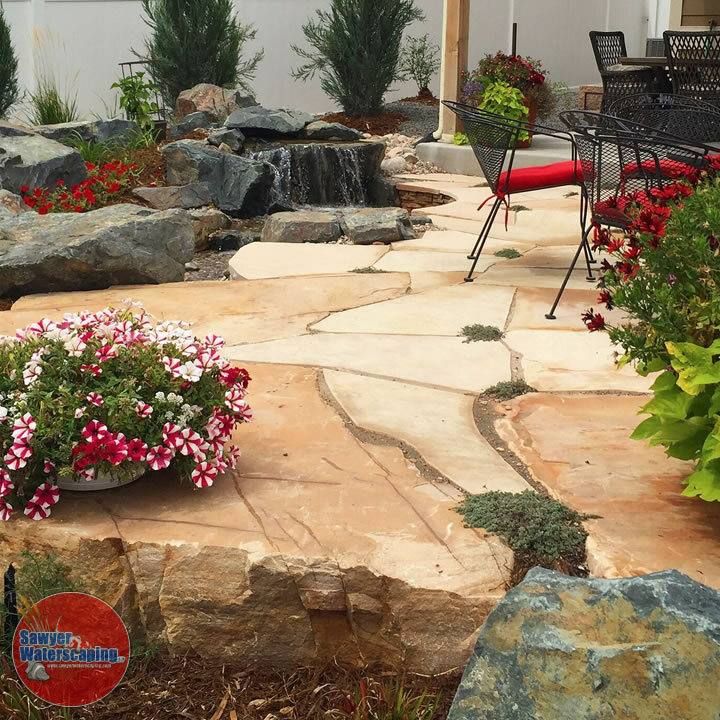 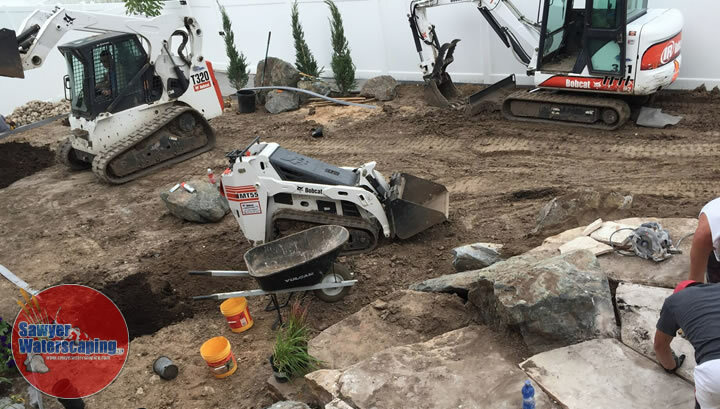 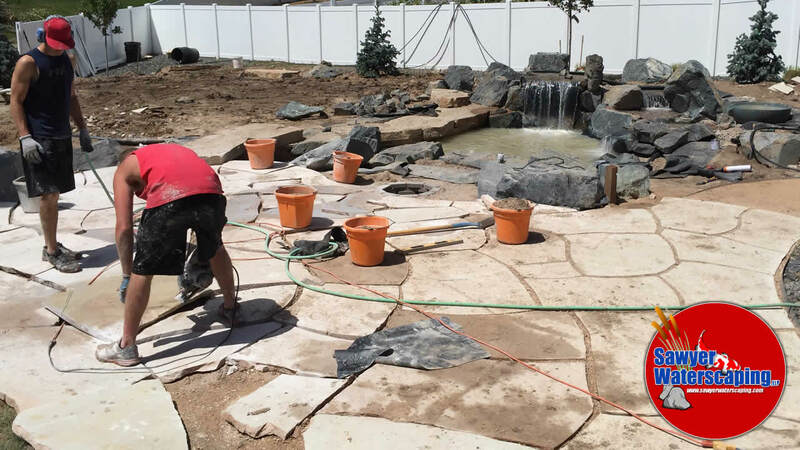 They wanted their patio larger while enjoying the peaceful sounds of a small water feature. 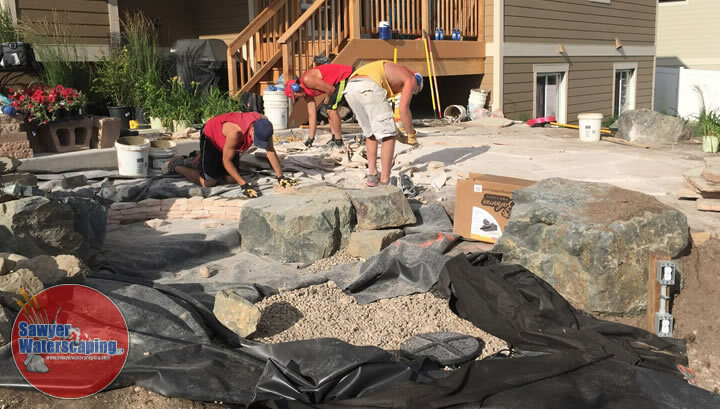 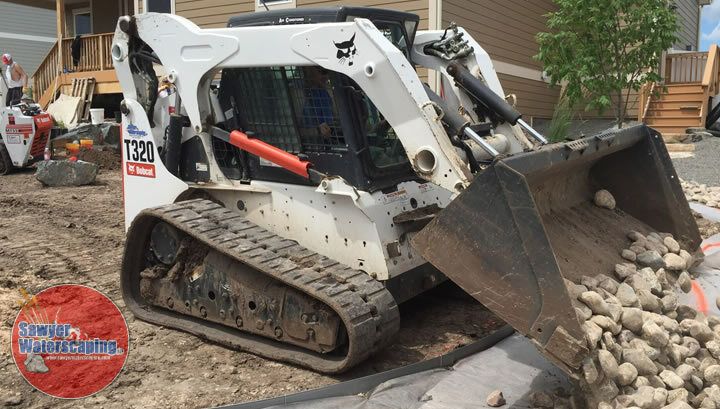 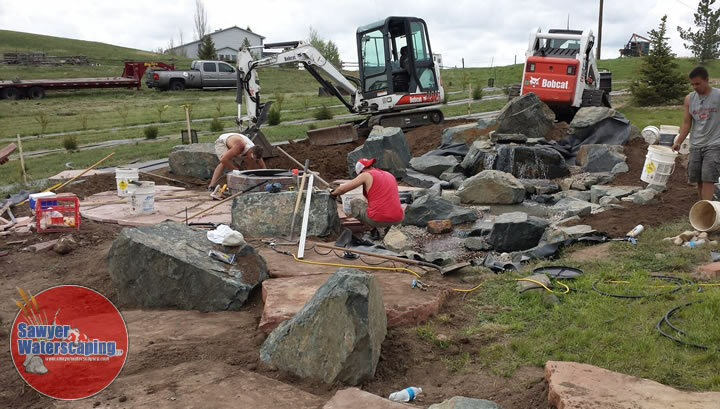 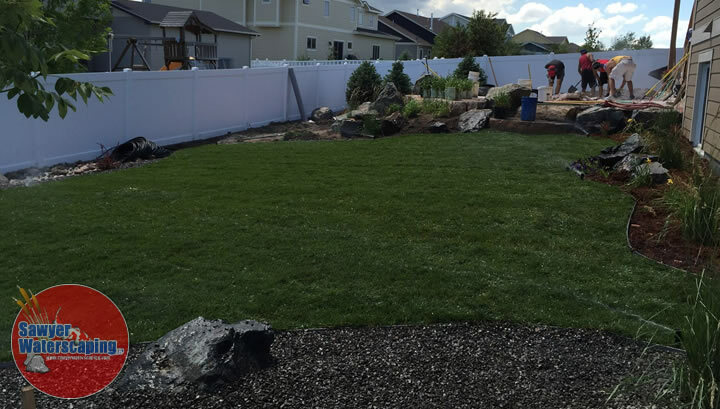 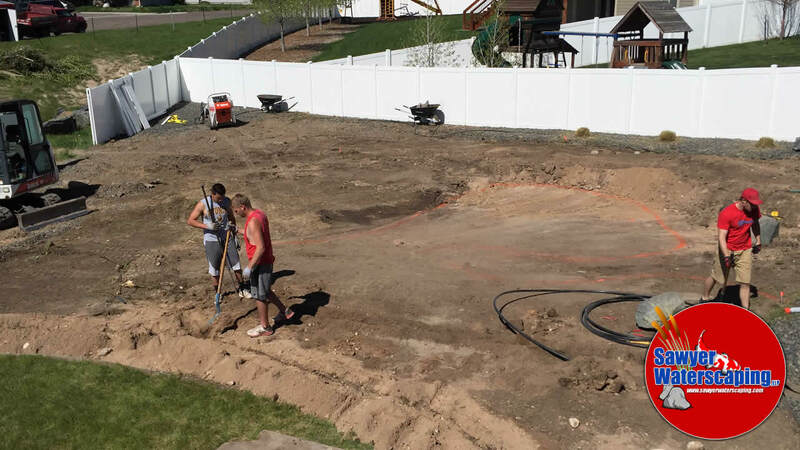 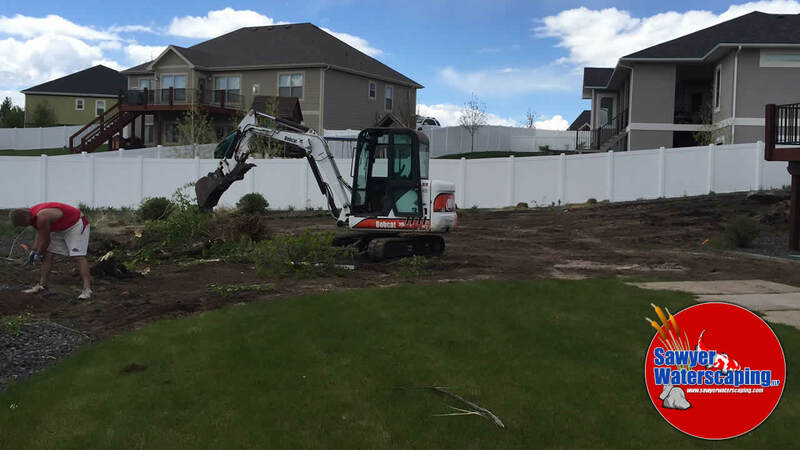 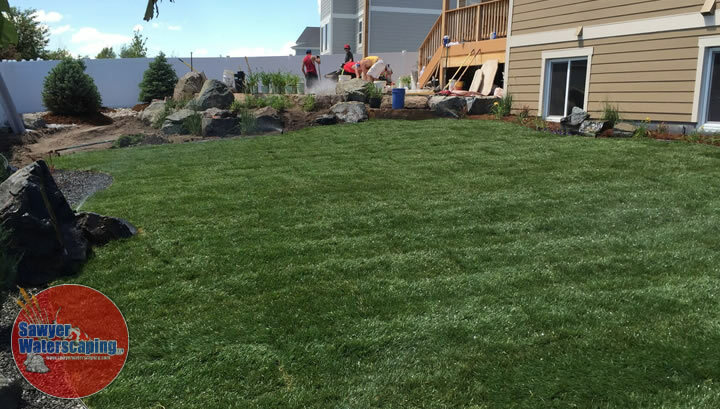 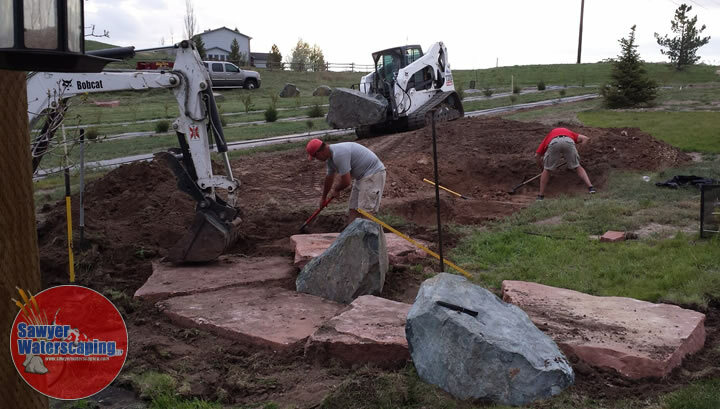 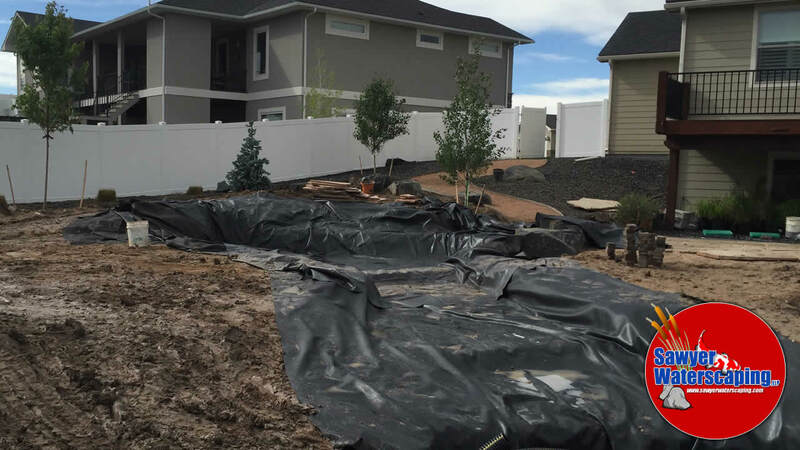 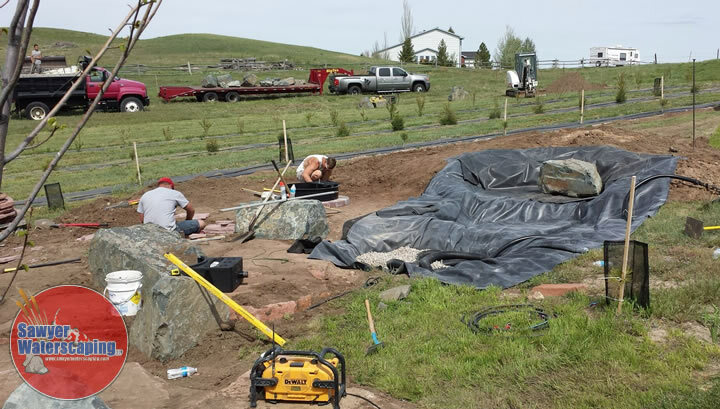 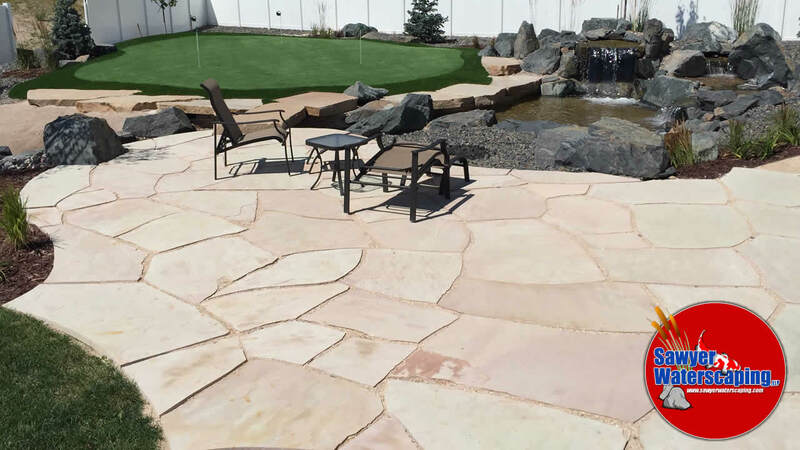 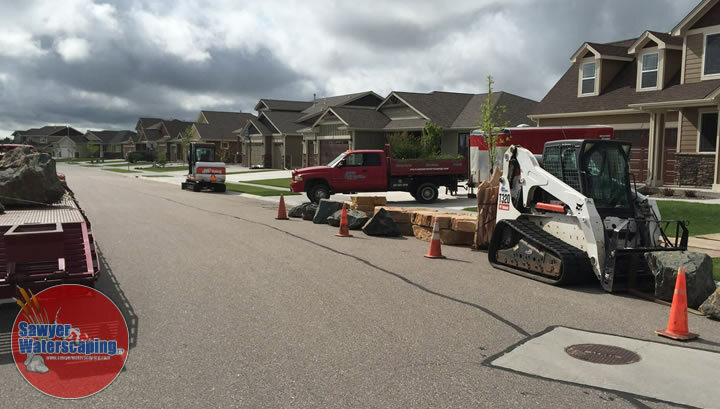 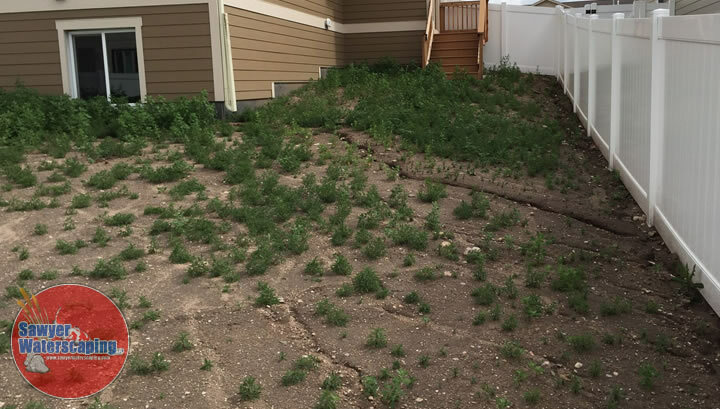 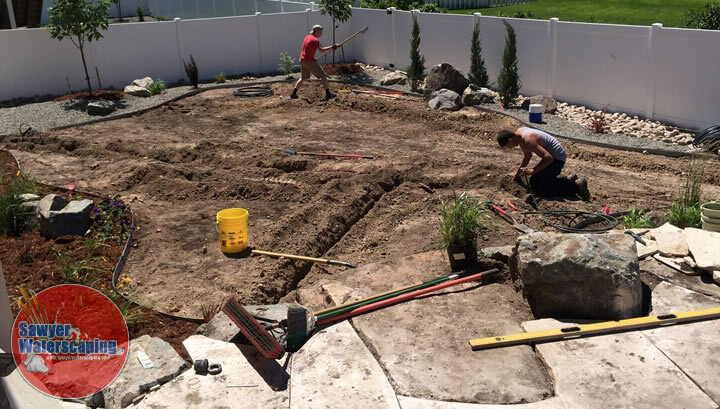 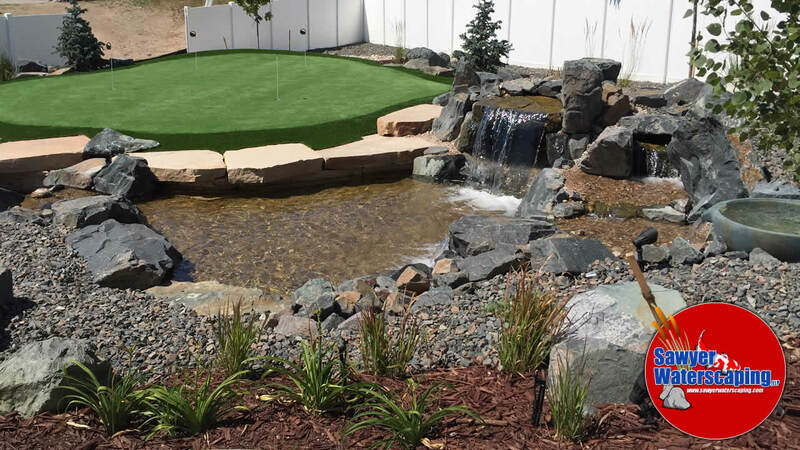 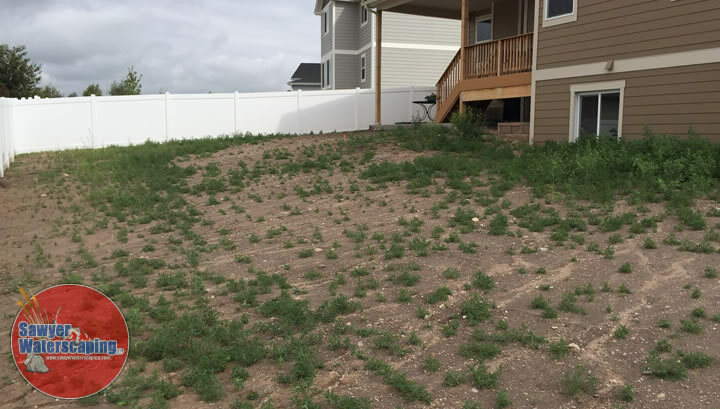 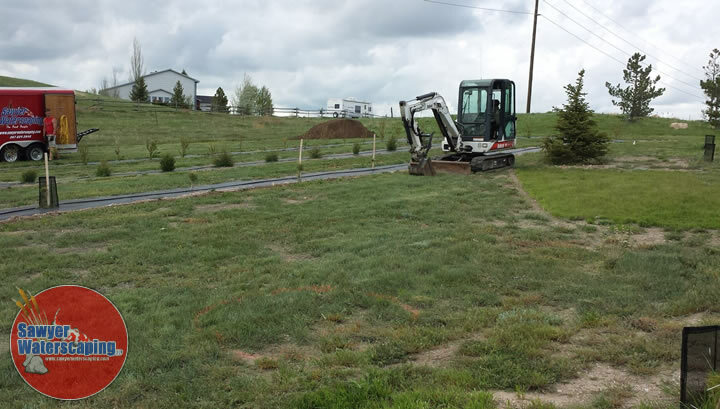 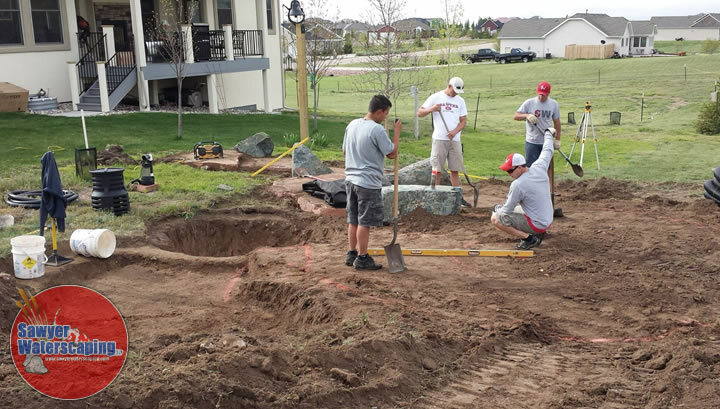 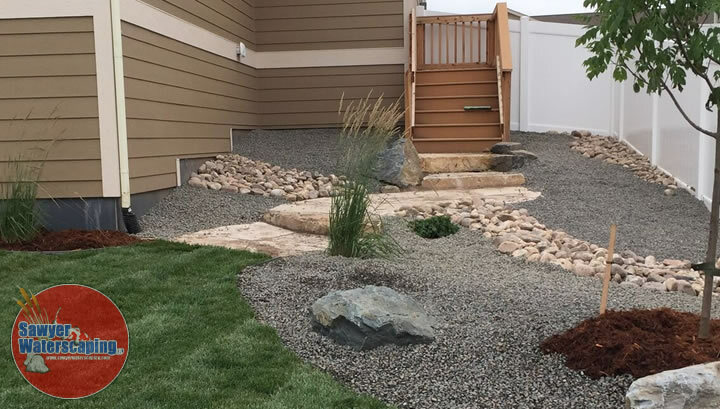 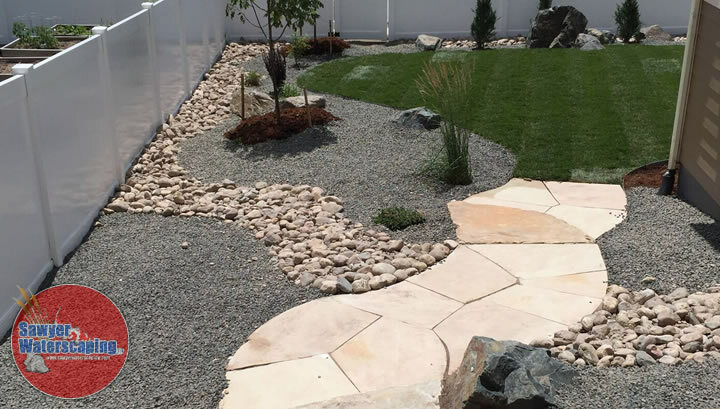 In addition, we essentially landscaped their entire backyard..with the excellent work of Danny and his crew from Green Lawn Care, who completed the irrigation lines and the sod. 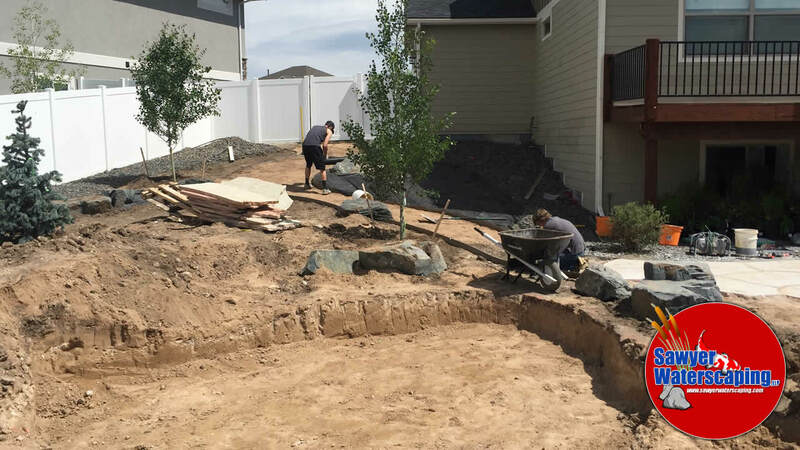 The biggest challenge for us on this project was adding additional living space while raising the elevation of the steeply sloping yard. 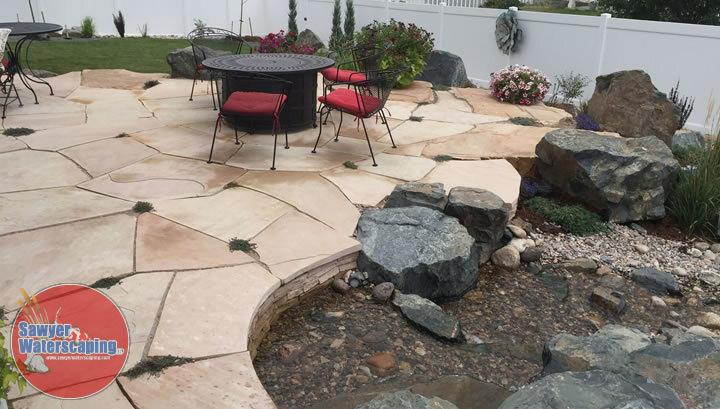 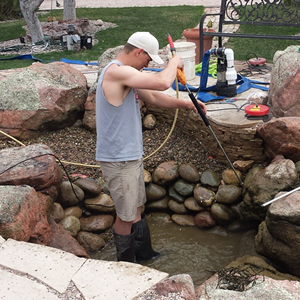 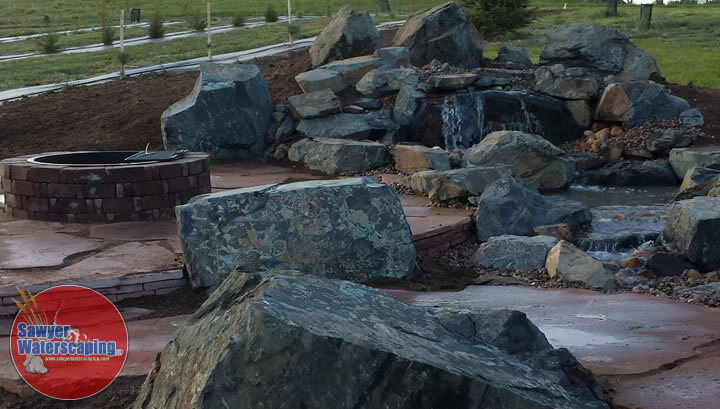 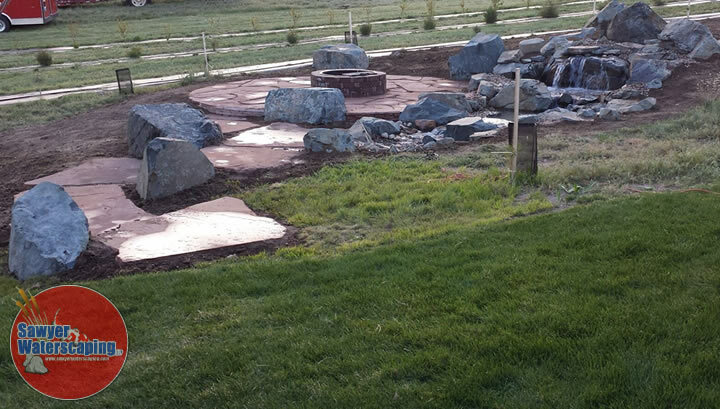 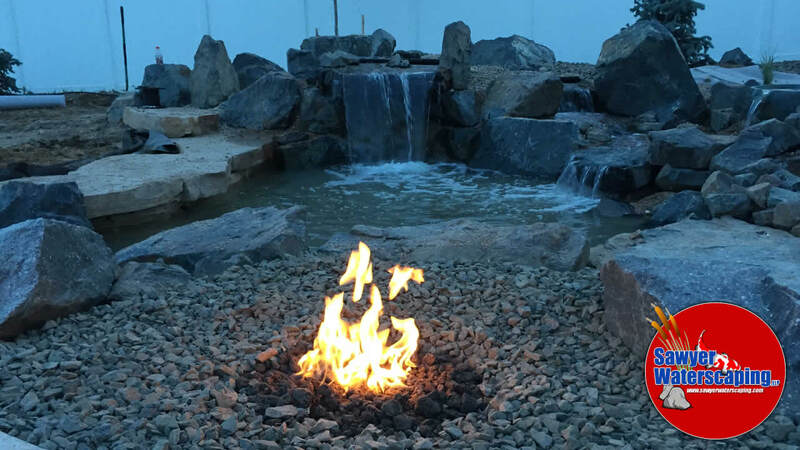 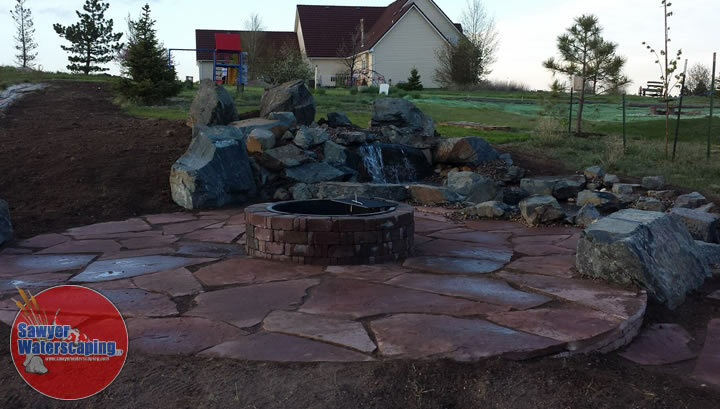 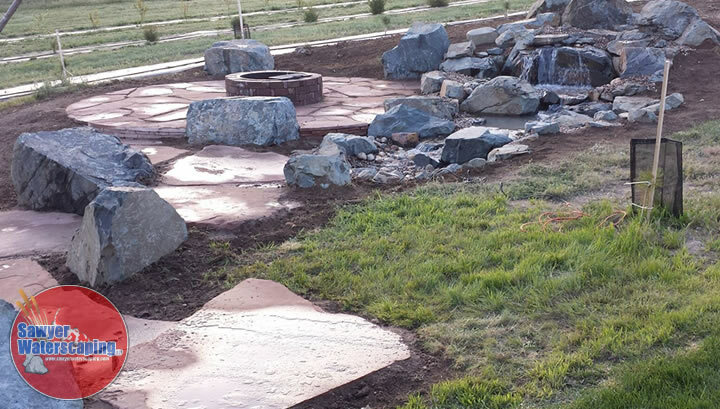 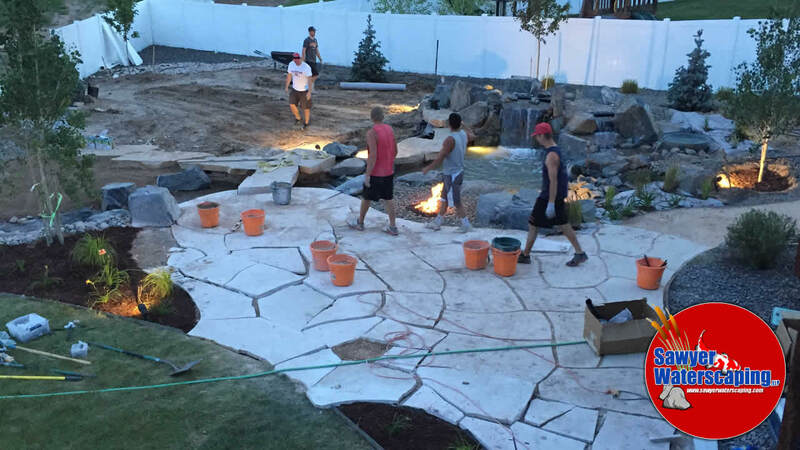 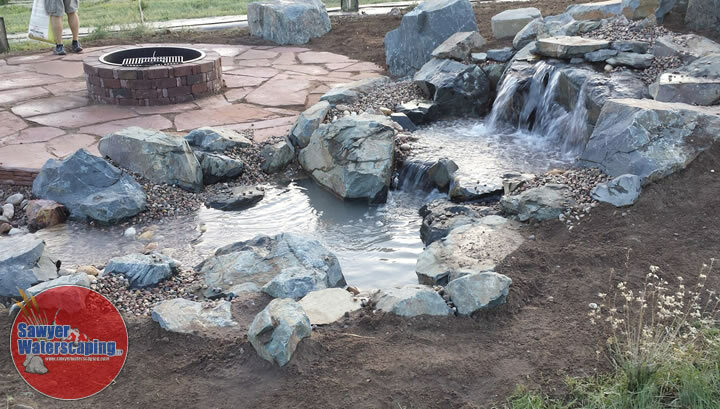 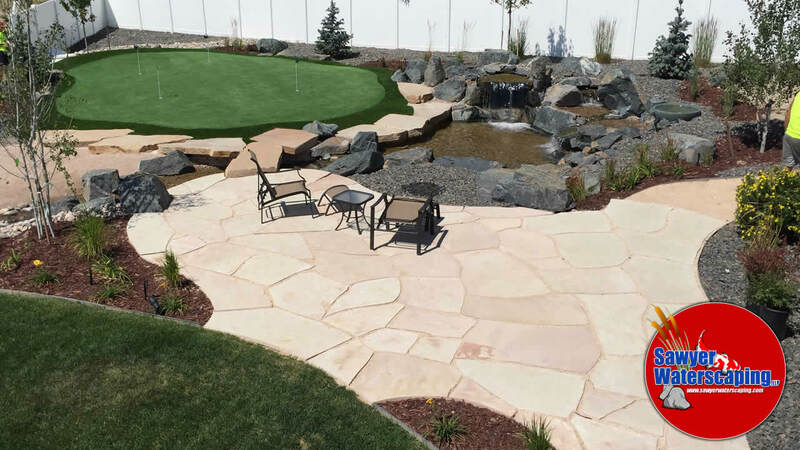 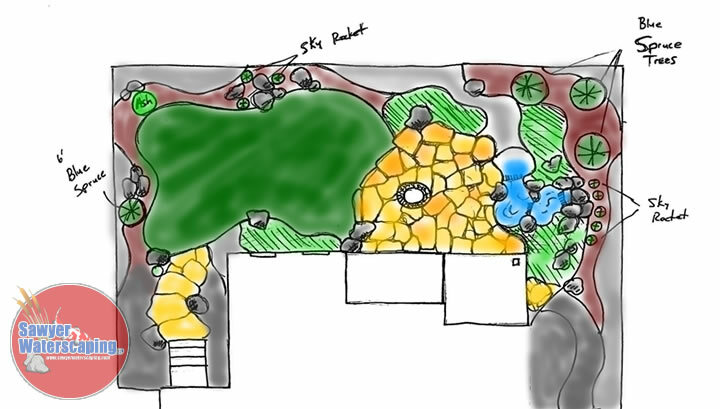 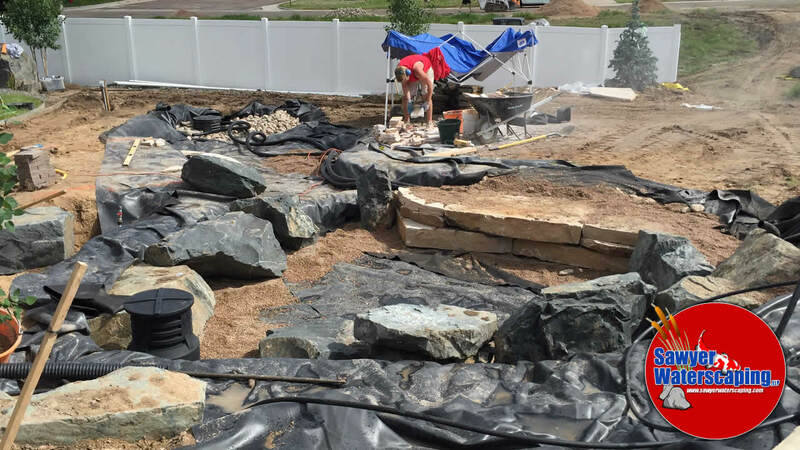 All in all we added a large flagstone patio with a gas fire pit and a 7′ pond-less waterfall. 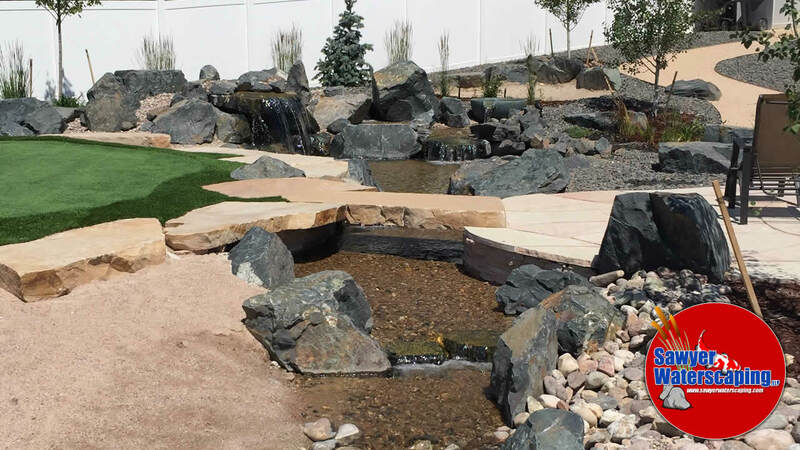 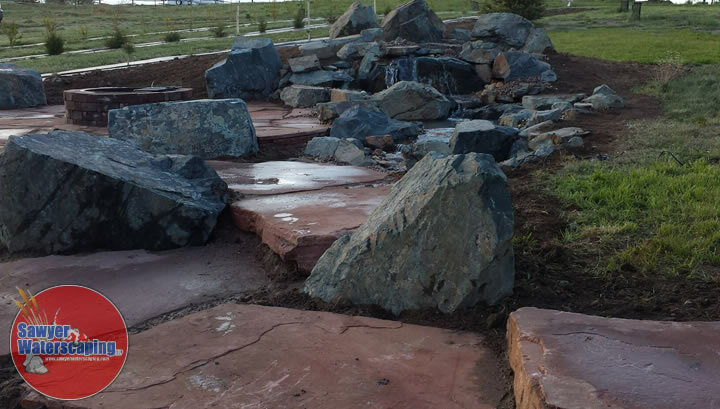 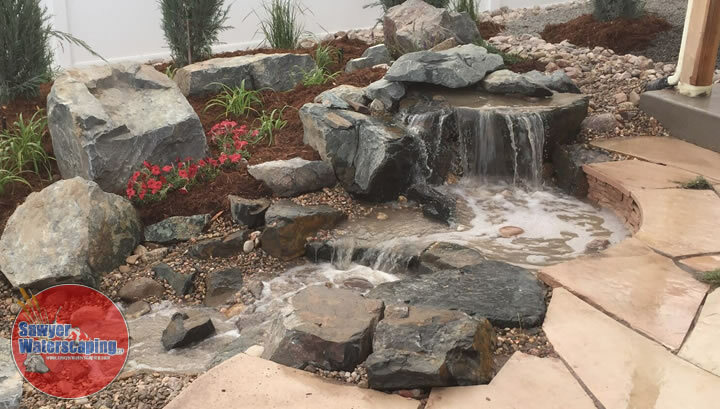 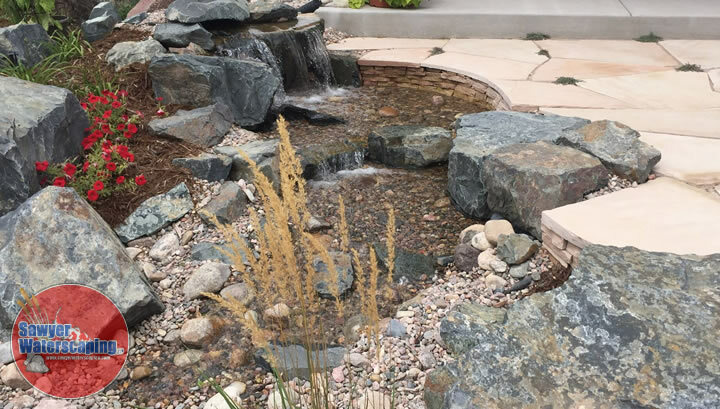 Constructed in 2014, the Crock’s Pond-less Waterfall consists of a 12′ stream and waterfall. 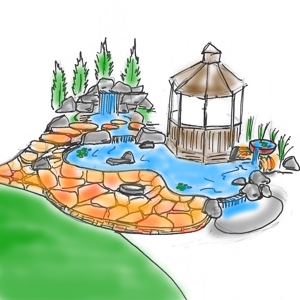 The original design had the waterfall lower in the yard. 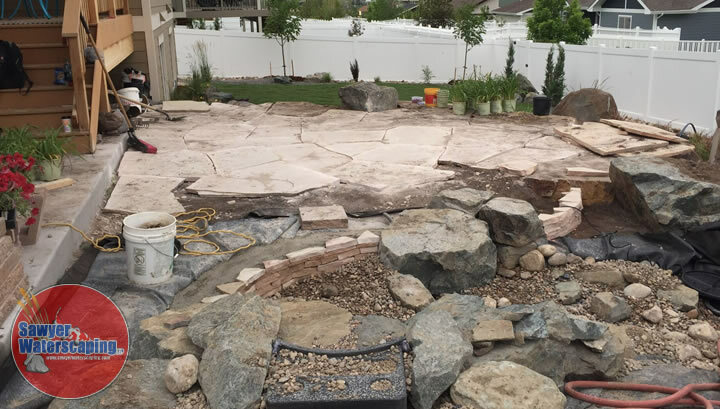 So when it was moved up on the higher side, we left the large flagstone steppers essentially in the same location. 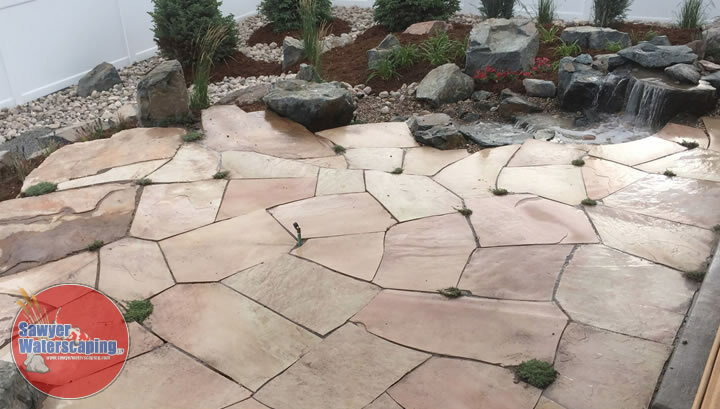 By moving the waterfall up, it made it much more visible from the deck and living space. 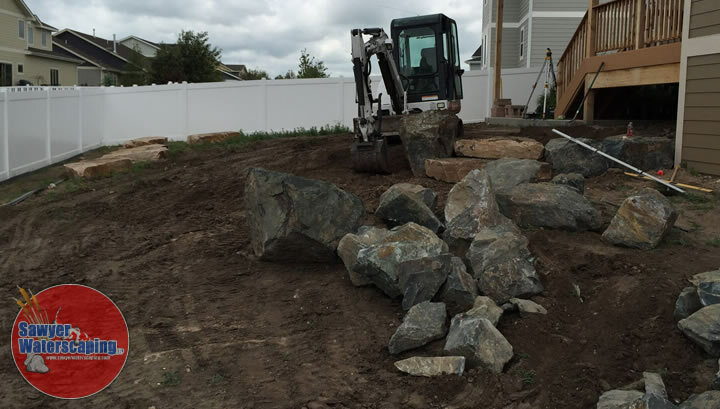 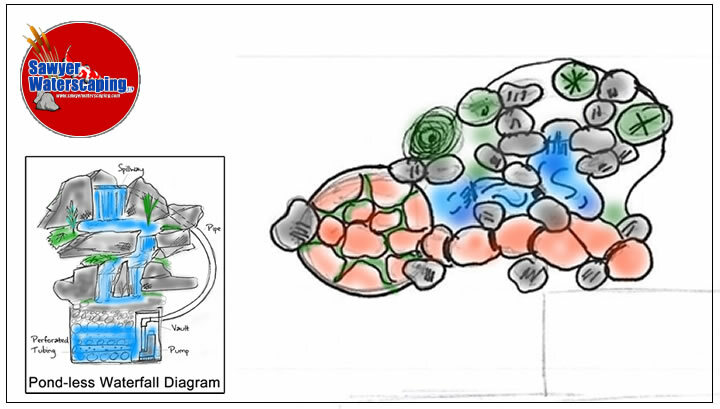 Here are a list of the materials we used in the project.